Hundreds of feet above the ground boys haul themselves up narrow tree trunks in search of valuable rubber. "We passed a man on the road who had broken his back falling from a tree while tapping rubber vines", reports a missionary in the Congo during the reign of King Leopold II. "People were afraid of this work", says a Luebo village elder. Rubber had to congeal to be collected and removing the congealed rubber was excruciating. Yet there was little choice - their European conquerors were determined to plunder this country of its natural resources, in the process making slaves of the indigenous population. The history of Congo's exploitation begins with the explorer Stanley. He, on behalf of Leopold, exchanged bales of cloth with the natives for signatures on land rights documents they did not understand. Yet Stanley and Leopold managed to hide their exploitation and the disturbingly sadistic methods they used to enforce slave labour behind a stage-managed smokescreen of apparent innocence. As Adam Hochschild, author of the novel 'King Leopold's Ghost' points out, "Leopold was a master of spin control". What his spin was hiding was unspeakable. "The right hands, I counted 81 in all", William Henry Sheppard reported, after seeing the hands of Africans that had been severed for not meeting rubber quotas. This government-sanctioned violence was all carried out with one aim, to make profit. Joseph Conrad described what he saw in the Congo as, "the vilest scramble for loot that ever disfigured the history of human conscience". By the time Leopold came to relinquish his control of the Congo the population had been halved and its society destroyed. His predatory exploitation of the colony had started a trend that has lasted up until the modern day, setting an example for the extraction of wealth that has continued through the generations. As Jules Marchal, a former officer of the Belgian Congo admits, the brutality continued unabated: "One could say the Congo was made with the whip". In 1960 the Congo was given its independence and the rise of a young and principled politician, Patrice Lumumba, brought some hope for a better future. But hope was not to last long. Colonial interests in its natural resources had not gone away and an independent politician like Lumumba was a threat. The combined machinations of the Americans, the Belgians and the United Nations resulted in Lumumba's capture and death. Joseph Mobutu, the man who would remain in power for the next 38 years, carried out the coup. During his rule he maintained close links with the Western superpowers. They continued to benefit from the Congo's natural resources as their stooge Mobutu was rewarded with vast wealth. Mobutu was finally deposed but King Leopold's ghost continued to ravage the rich Congo lands as various foreign-sponsored, "ragtag armies marauded the countryside". The conflict officially ended in 2003, but the years of turmoil, war and dreadful atrocities had taken its toll. Speaking about the continuing political crisis, one politician says, "the situation here is so terrible that all they want is some sort of peace". This vivid documentary offers an engrossing insight into the grim colonial legacy which still haunts the Congo today. 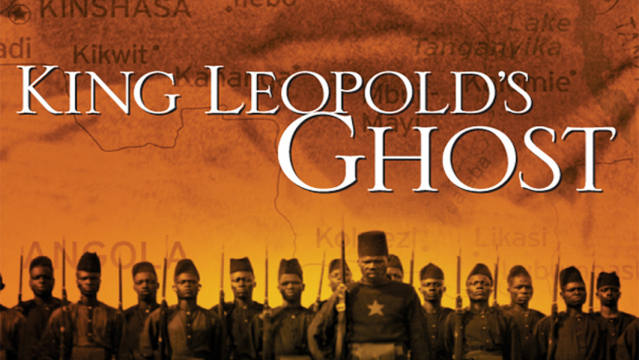 Actress, producer and documentary filmmaker, Pippa Scott adapted, produced and directed - King Leopold's Ghost. The two hour feature-documentary centres on the horrors that have plagued the DRC Congo region of Africa for more than 120 years. Ms Scott began acting in her early 20s, landing roles in such acclaimed films as the Searchers starring John Wayne, Auntie Mame which won the 1959 Golden Globe for Best Motion Pictures - Comedy, and Petulia starring George C. Scott and Julie Christie, among many others. 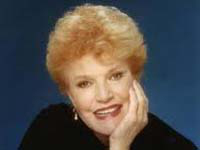 Ms. Scott soon went on to become one of the founding partners of Lorimar Productions, the Emmy-award winning television company established in 1968, which produced the tv series Dallas. In 1987, Ms Scott established Linden Productions with the goal of developing and producing documentaries related to conflict and human rights violations. Youd be surprised how many people have never even heard of the Congo, and yet, it is a place where some of the worst atrocities known to man have been occurring for more than a century. 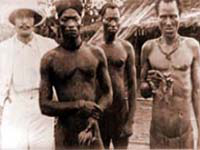 The term "crimes against humanity" was coined by American minister, lawyer and journalist George Washington Williams in 1890 after he traveled to the Congo and witnessed first-hand the widespread torture, abuse and murder that was taking place. Most of the world didn't know about the corruption and heinous acts that were being committed by the order of King Leopold II of Belgium, but the majority of those who did, were either involved and profiting from the Congo in some way, while the rest, including Britain and the U.S., chose to ignore and deny.